Alfred Darling was from London. In 1894 he started a small engineering shop in a back room of his house at 47 Chester Terrace, Brighton. Success forced a move to larger premises at 25 Ditchling Road, which he occupied until 1926. Here he undertook the manufacture of all manner of light engineering products. 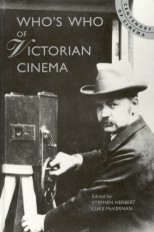 Coming into contact with that small group of Brighton film pioneers, he began to specialise in cinematographic equipment, and Esme Collings, G.A. Smith and James Williamson were among his first customers for this class of work. He also encouraged them in their pioneering work and was able to render valuable technical assistance whenever it was needed. In 1897, he was associated with the firm of J. Wrench & Son and in July of that year took out a patent, with Alfred Wrench, for a claw-operated cine camera with a variable shutter. In the following year, he was employed by Charles Urban to make the mechanism for the Biokam, a small gauge cinematograph for amateur use. He was later to make a wide range of standard 35 mm cine cameras that found a favourable market, not only in England, but throughout the world. Other equipment manufactured by Darling included printers, winders, measurers, tripods and projectors. His customers included many of the top names of the industry. Alfred Darling died on 24 July 1931 aged sixty-nine years and is buried in Hove cemetery.